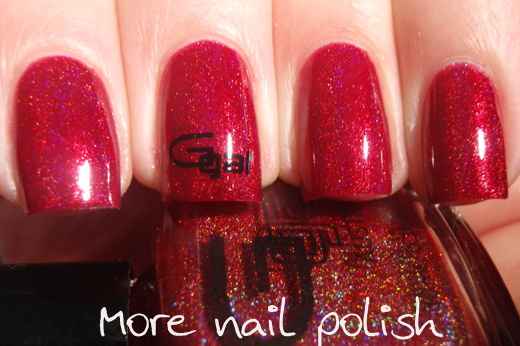 Aussie brand Glitter Gal is a brand that I just don't own enough of. 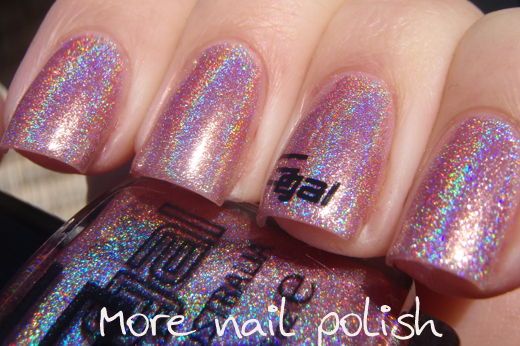 They have made holo polishes for years and I only have a few of them. 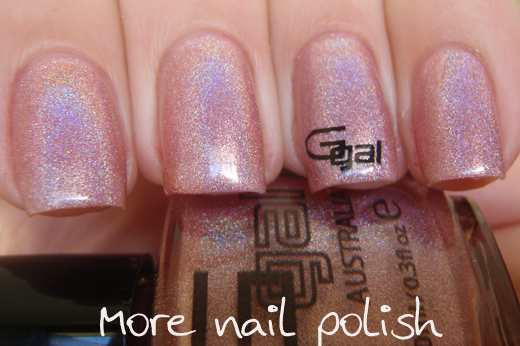 I was kindly sent these three Glitter Gal polishes from a new Melbourne based Aussie etailer - Maconii Collection. 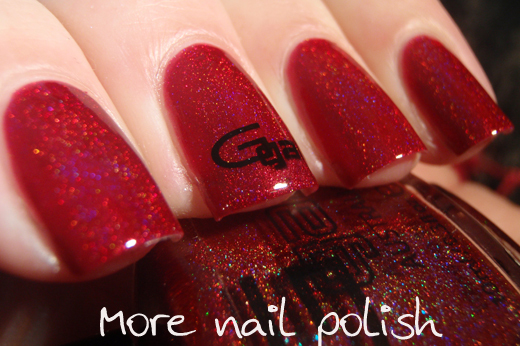 They sell a range of polish brands including Color Club, Glitter Gal, JOSS, Nfu Oh and OPI. 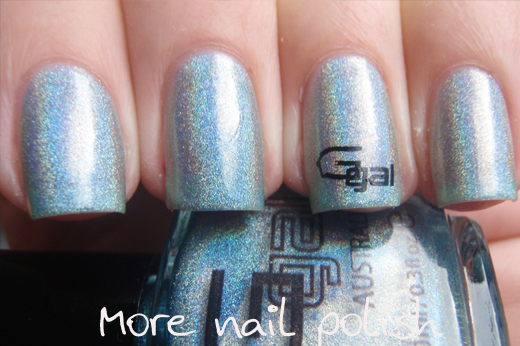 Bondi Blue is your classic pale blue holo. 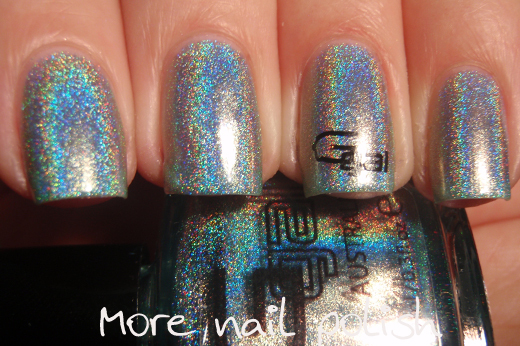 This one is really sheer and could almost work as a holo topcoat at one coat. I did three coats for these polishes. Not the most unique colour, but the holo flame is really nice. 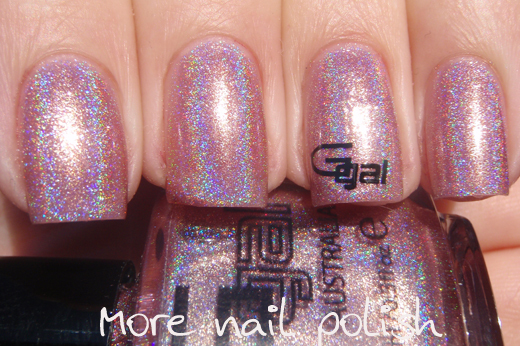 Flawless Pink is your classic pale pink holo. This one was more opaque that Bondi Blue, but I still did three coats. 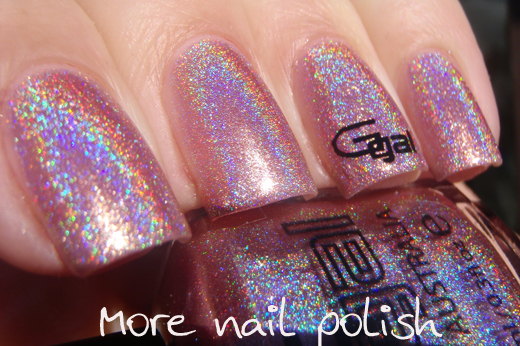 Again, it's not a very unique holo colour, but the holo effect is nice. Hot Chilli - ok now we're talking. 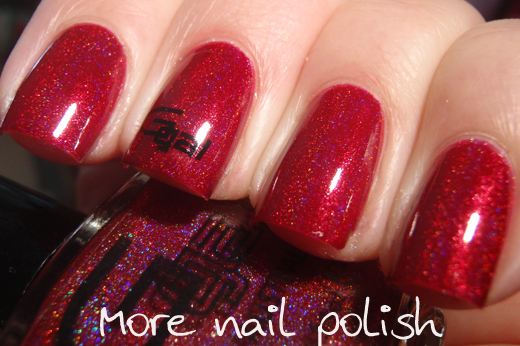 Hot Chilli is warm, chilli pepper red linear holo. These photos taken in full sun show a somewhat more raspberry red appearance. The polish is darker than my photos, and you can see how white my fingers look too. 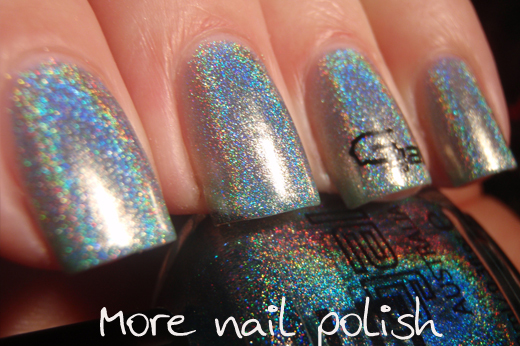 The pigmentation was fantastic. I did two thin coats and it was perfect. 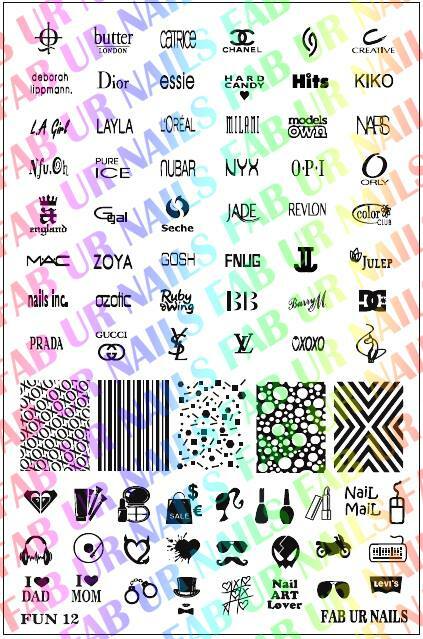 For these swatches I used the GGal stamp from Fab Ur Nails FUN plate #12. 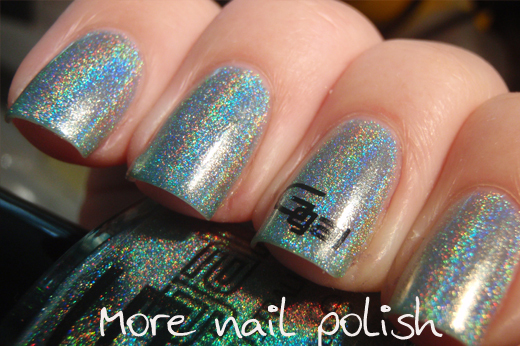 Polishes provided for swatching and review. 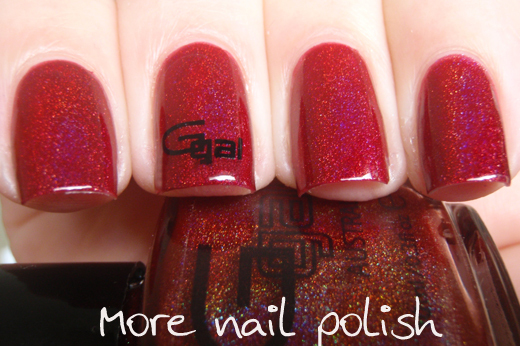 I'm drooling over Hot Chilli <3 Such a perfect holo shade! Em love com esta cor.. I just received Hot Chili in the mail, and I'm thrilled. It's gorgeous!